American Center Ryan Stephan (208-C-94) had a very impressive game in the last round for second-ranked Tokyo Excel., receiving a Interperformances B League D3 Player of the Week award for round 10. The 24-year old player had a double-double of 29 points and 15 rebounds, while his team edged out Aisin AW (#8, 1-3) 81-77. Tokyo Excel. maintains the 2nd position in Japanese B League D3. Tokyo Excel. has a very good season and are considered to have a run for the championship title. They improved their record to 15-1. In the team's last game Stephan had a remarkable 61.5% from 2-point range. He turned to be Tokyo Excel. 's top player in his first season with the team. Former Mesa State University star has very solid stats this year. 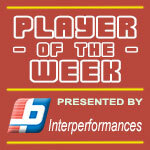 Stephan is in league's top in points (3rd best: 21.6ppg) and averages impressive 64.6% FGP. The second best player in last round's games was another Tokyo Excel. 's star - 24-year old American Jordan Faison (201-F-94). Faison had a very good evening with 35 points, 9 rebounds and 3 assists. It was enough for Tokyo Excel. to edge the lower-ranked Aisin AW (#8, 1-3) 84-80. Tokyo Excel. 's second position in the standings has not changed. His team belongs to top of the standings with 15-1 record and is considered one of the main candidates for the league title. Faison is a newcomer at Tokyo Excel., but is already one of team's top players. He belongs to the best scorers in the league with 21.0ppg (#4). His other stats are also decent: 9.4rpg and 3.9apg. 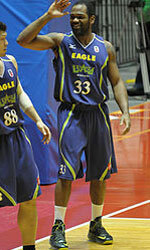 Third on the list of top players last round was American forward Darnell Martin (198-PF-91) of Saitama Bron. (#4). Martin showcased his all-around game by recording 29 points, fourteen rebounds (!!!) and four assists in the last round. He was a key player of Saitama Bron., leading his team to a 66-57 win against the lower-ranked Iwate Big Bulls (#10, 3-12). The chances of Saitama Bron. ranking at the top of the league, however are very questionable as they have already lost 9 games, recording just six victories. With bigger assistance of his teammates, Martin could help Saitama Bron. to bring them higher in the standings. Martin has a great season in Japan. After 15 games, he made it on the list of the league's leaders in points with 18.7ppg (7th best), rebounds with 12.4rpg (2nd best) and assists with 3.8apg (6th best).